This weekend, We went and spent some time hacking some code at the “NBC Universal Hackathon” and trying it out new ideas, meeting new friends, and learning a ton on many technological aspects and innovating. The particular problem that we decided to to solve was the irrelevance aspects of current TV and how more interactive could it be with current technologies. The way to solve it thru a collaborative experience where users can interact with their phones and cameras with the video shown on screen. Wind Sped Computer Vision is quite a new subject, I filed for patent on this not so long ago. Back in April 2018, I participated in “Emerge America’s” Hackathon with a project called “Augmented Reality Anemometer” that used Augmented Reality (AR) to capture video frames from the ARKit and computed the speed using OpenCV backend and sent it back to the phone to display the wind speed derived from the video frames. This hackathon the idea was different and was to expand open it creating a network of cameras that could capture wind speed, process and then generate wind speed computations using the captured frames from an input device. In fact, one of the members Chris brought a RING and worked on the RING API To retrieve the video from that device, but this would work with any IP-based Camera. 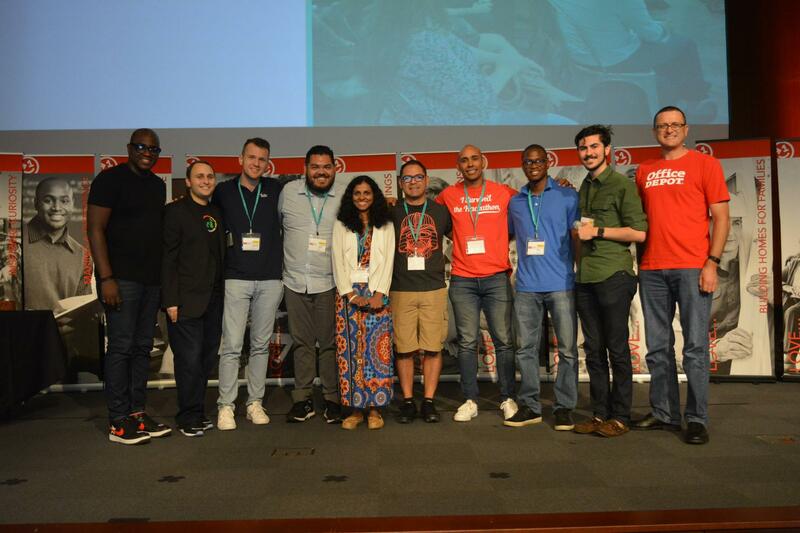 All this took place at the Palm Beach Tech Hackathon hosted by Office Depot and organized by “Palm Beach Tech” team, lead by Joe Russo.